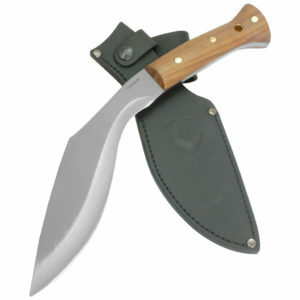 When vegetation is encroaching on your property or brush is blocking your path, cut down anything in your way with the Smith & Wesson Outback kukri machete. 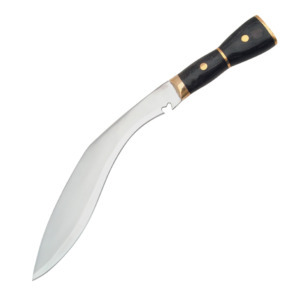 Based on the multifunctional Nepalese tool, this kukri features a curvaceous 12-inch blade made of 440C stainless steel designed to resist rust and corrosion. 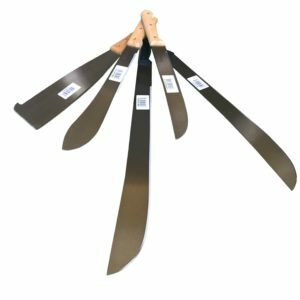 The curved blade offers superior chopping capabilities needed to tear through vines and briars with ease, while the comfortable rubber handle surrounds the full tang for control and durability. 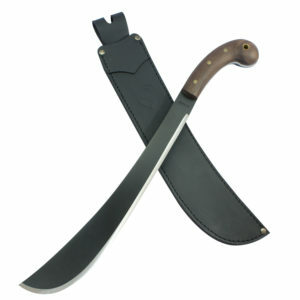 Protrusions on the handle keep the hand from sliding onto the blade or off the back when wielding the large machete. 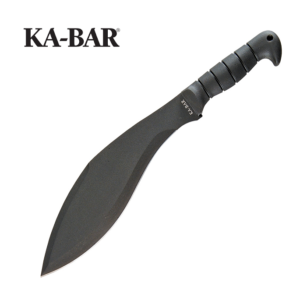 A beautiful and functional kukri machete with a rubberized grip for comfort. 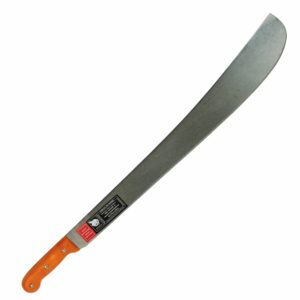 Everyone who sees and holds this machete falls in love. 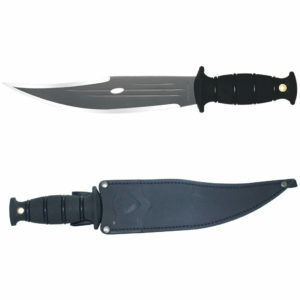 5.9 mm. / 2.5 mm.